Sunday, December 09, at 5:15 PM. 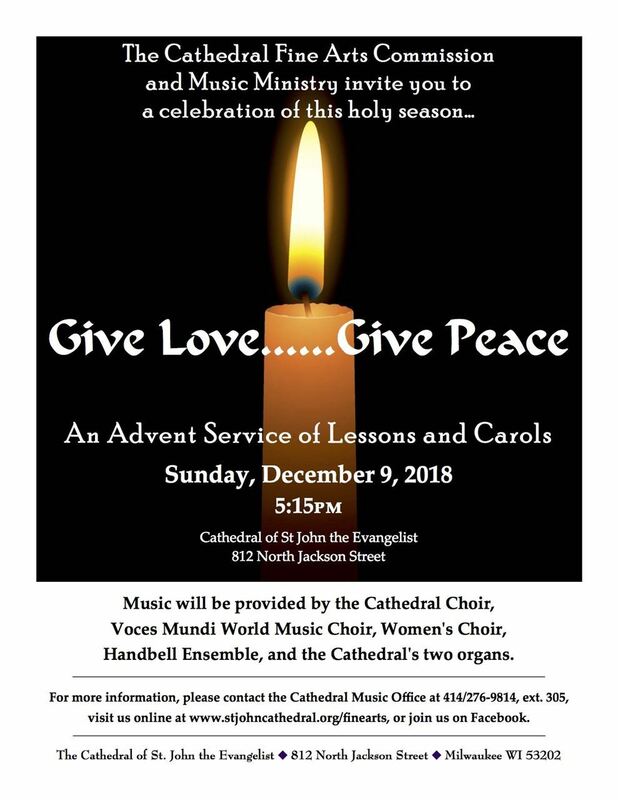 This annual holiday tradition at the Cathedral will feature the Cathedral Choir, Women’s Choir, Voces Mundi World Music Choir and Handbell Ensemble. The choirs will sing works by Skempton, Proulx, Batcho, Manz and others. Readings from the Old Testament prophets will be read. Tickets are not required. A freewill offering to benefit Catholic Relief Services will be taken.